ASTM D638 Type IV tensile bars can be quickly and easily cut on the Tensilkut I or Tensilkut II manually operated machines. 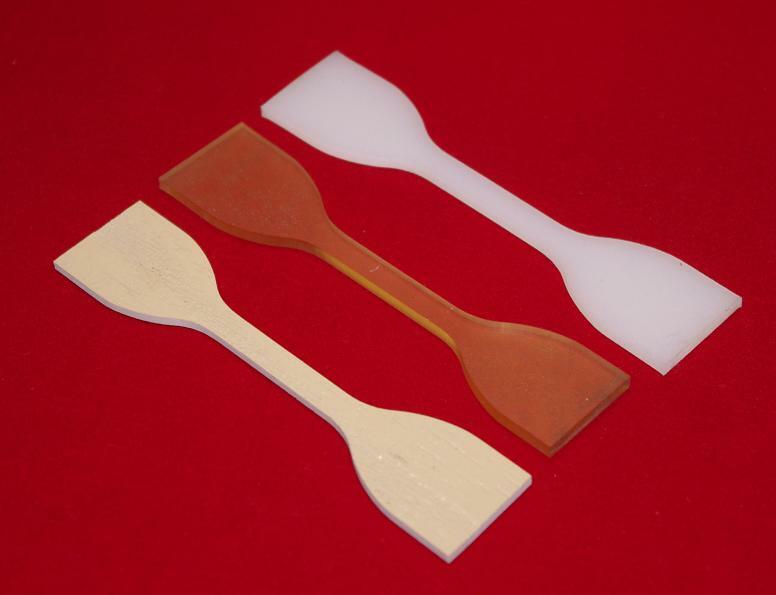 Thinner blanks can be stacked together in order to prepare multiple specimens at one time, significantly cutting down the time required to prepare each tensile specimen. This entry was posted on October 21, 2013 at 6:30 pm and is filed under tensile samples. You can follow any responses to this entry through the RSS 2.0 feed. You can leave a response, or trackback from your own site.